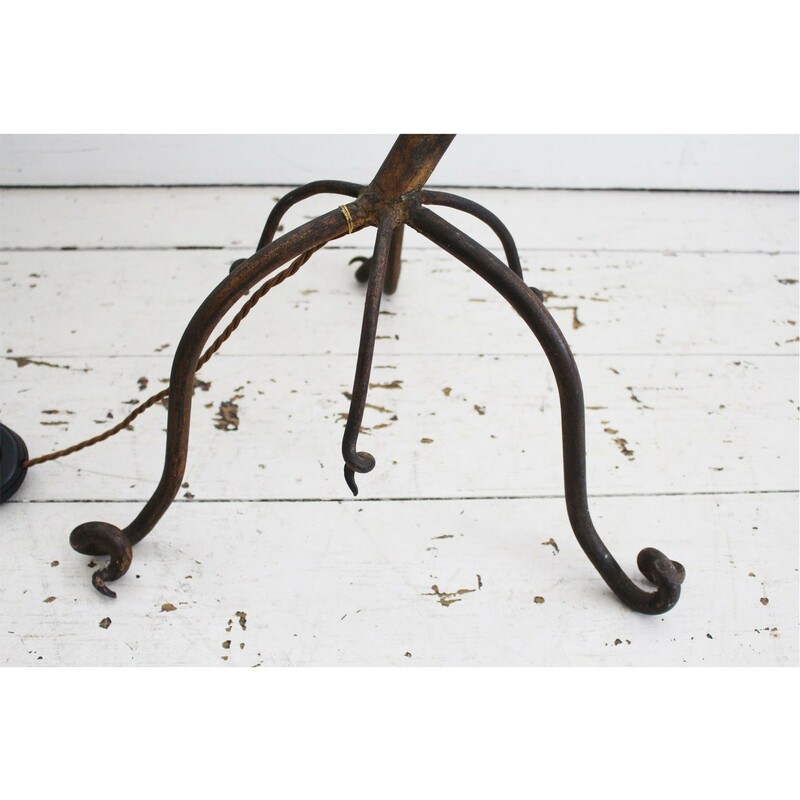 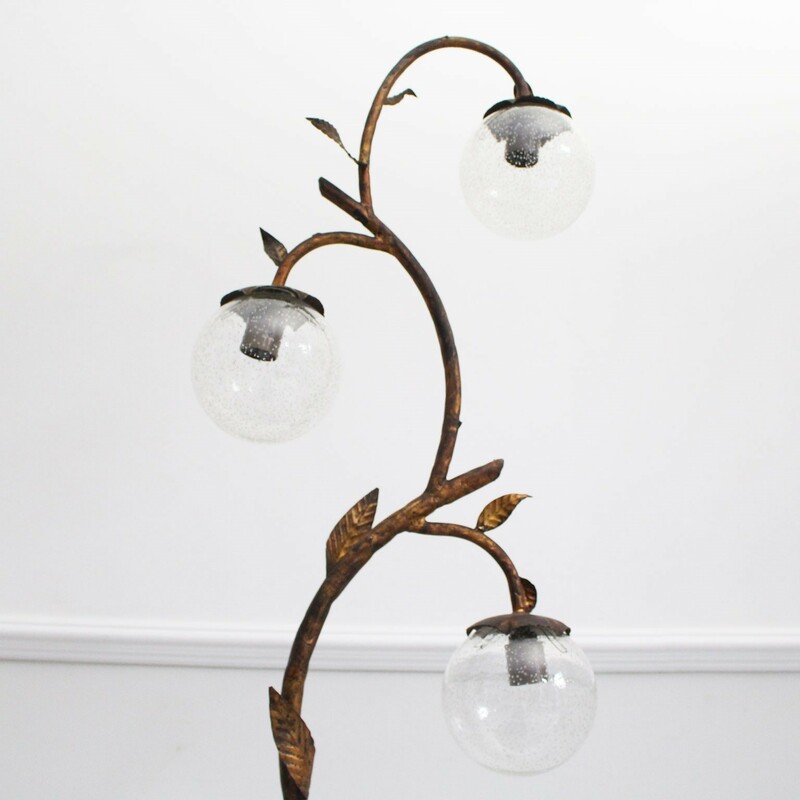 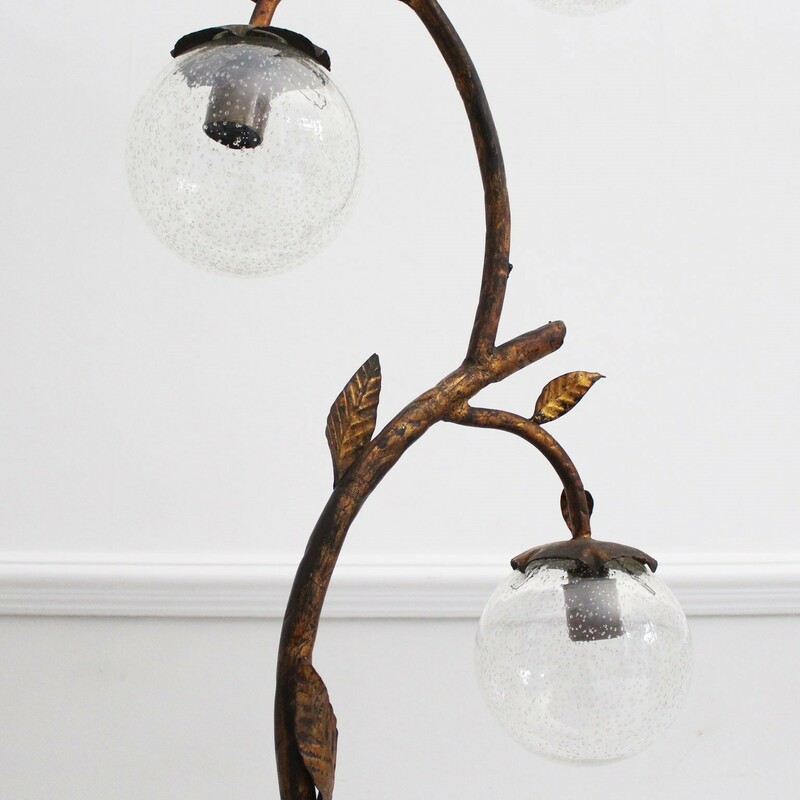 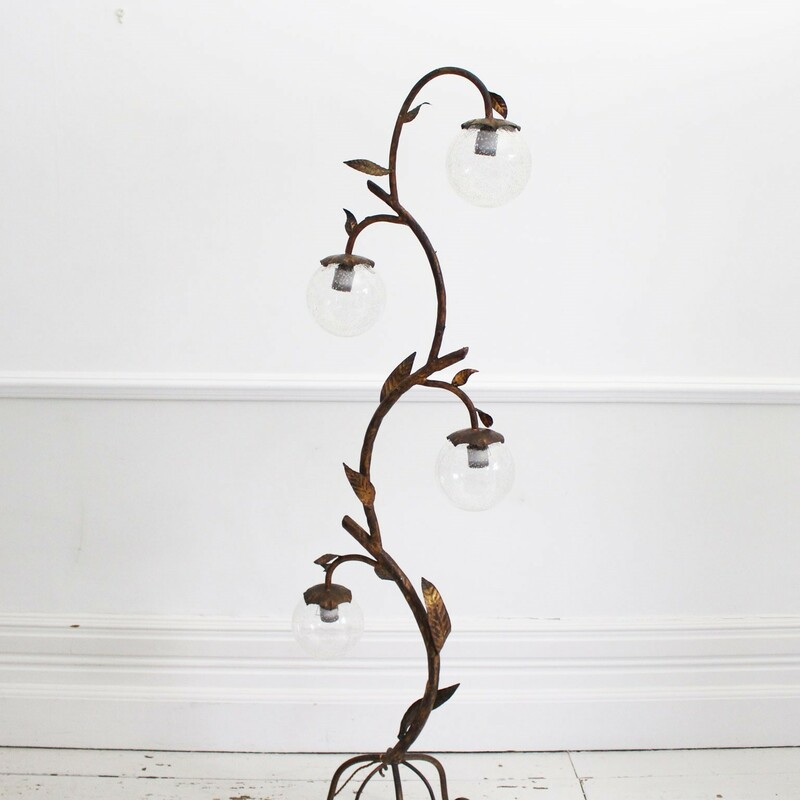 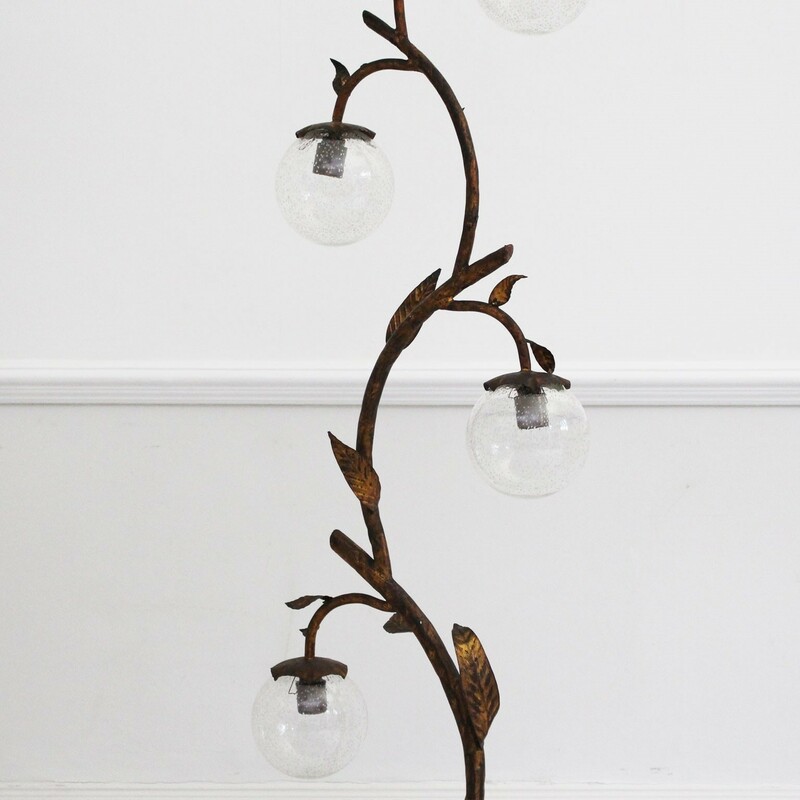 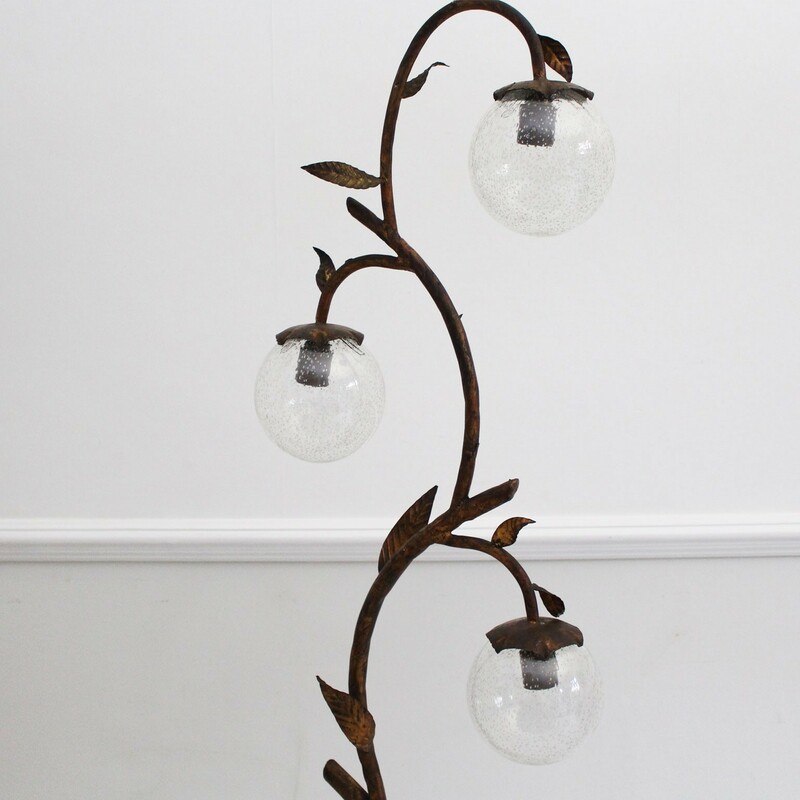 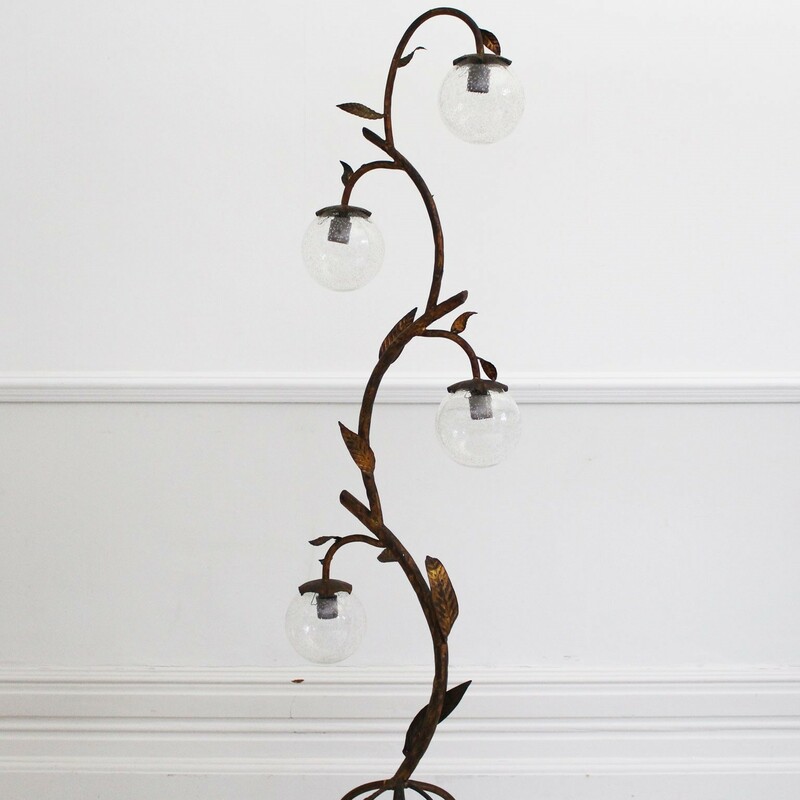 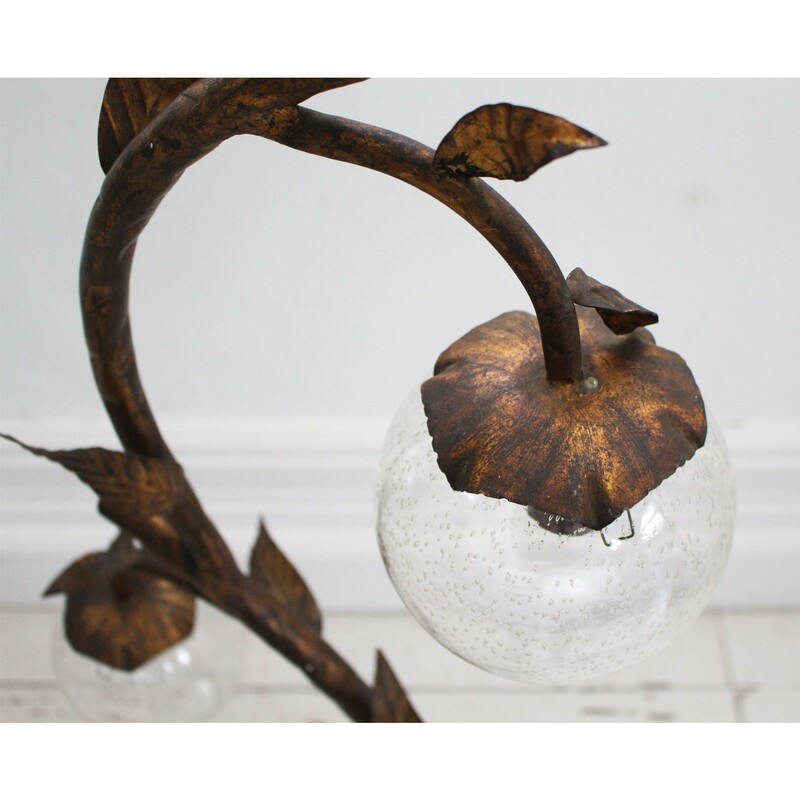 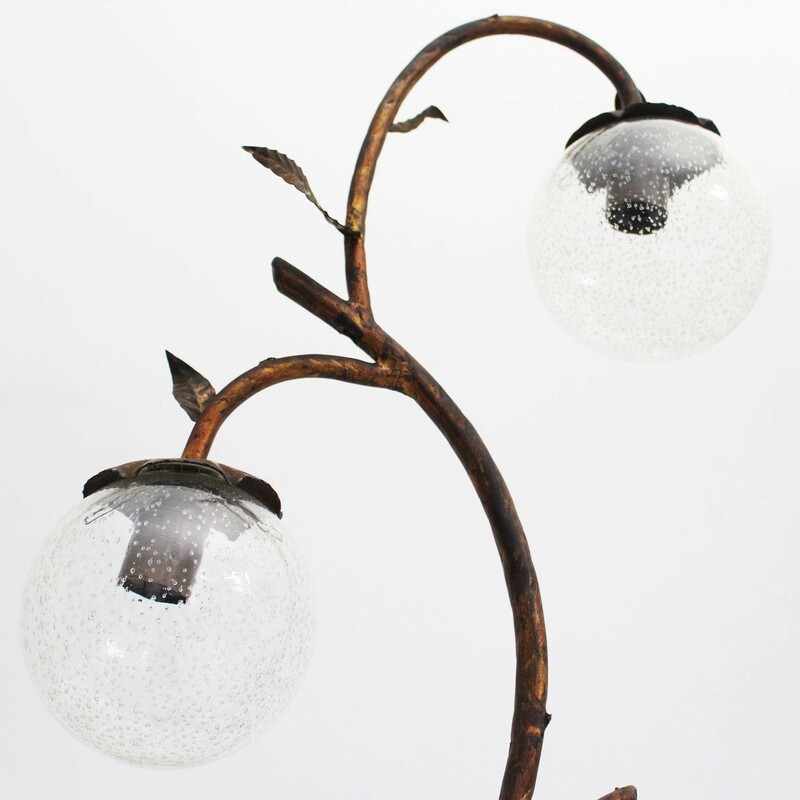 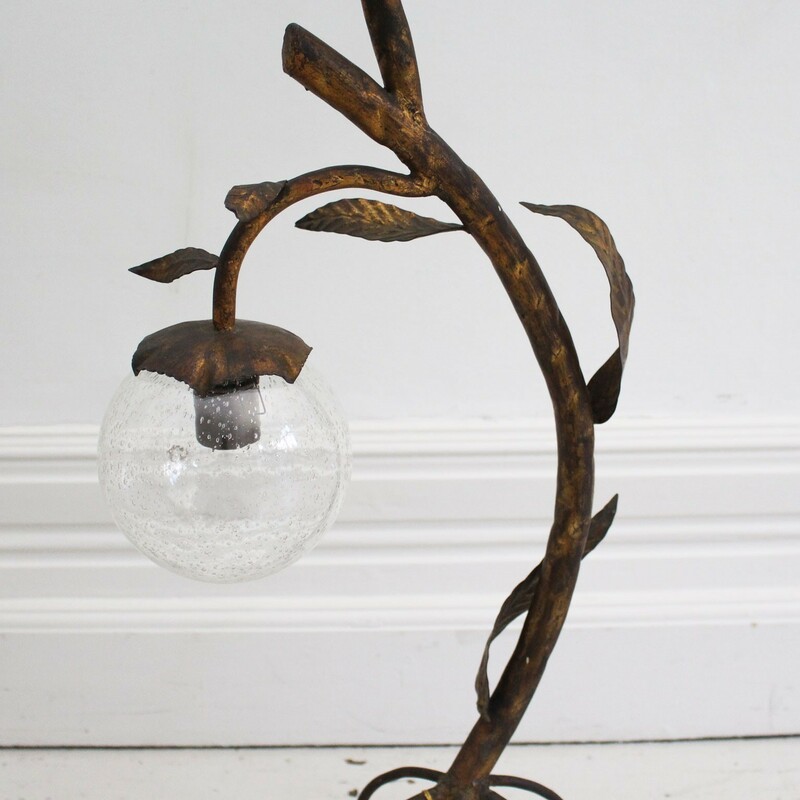 This muted gold 1930's French metal floor light is like a plant, with curling roots at it's base, leaves and then flower heads holding the bubble glass globes. 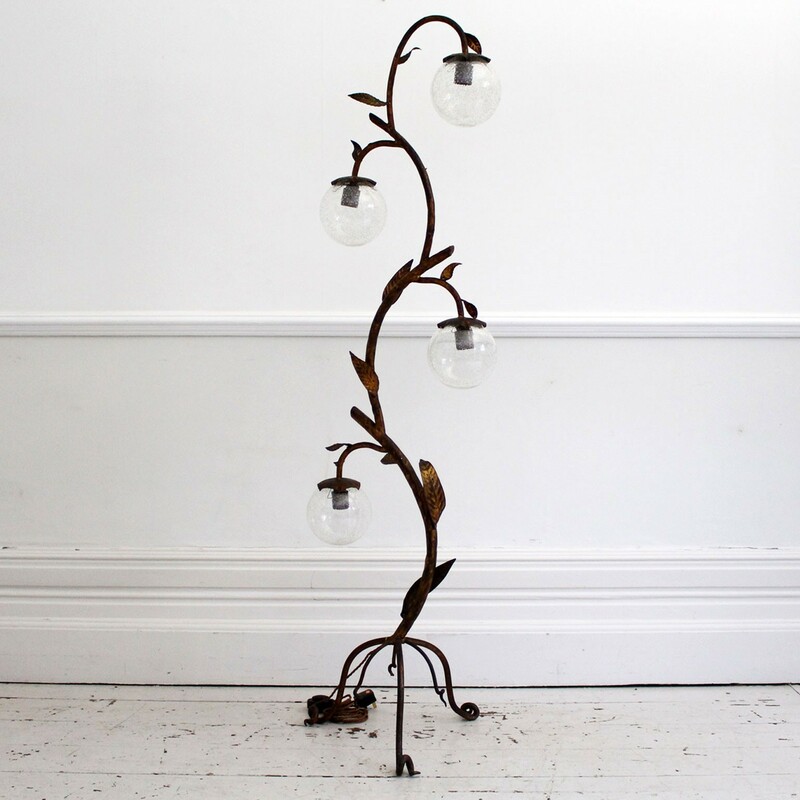 This is a wonderfully original light with a great deal of charm. 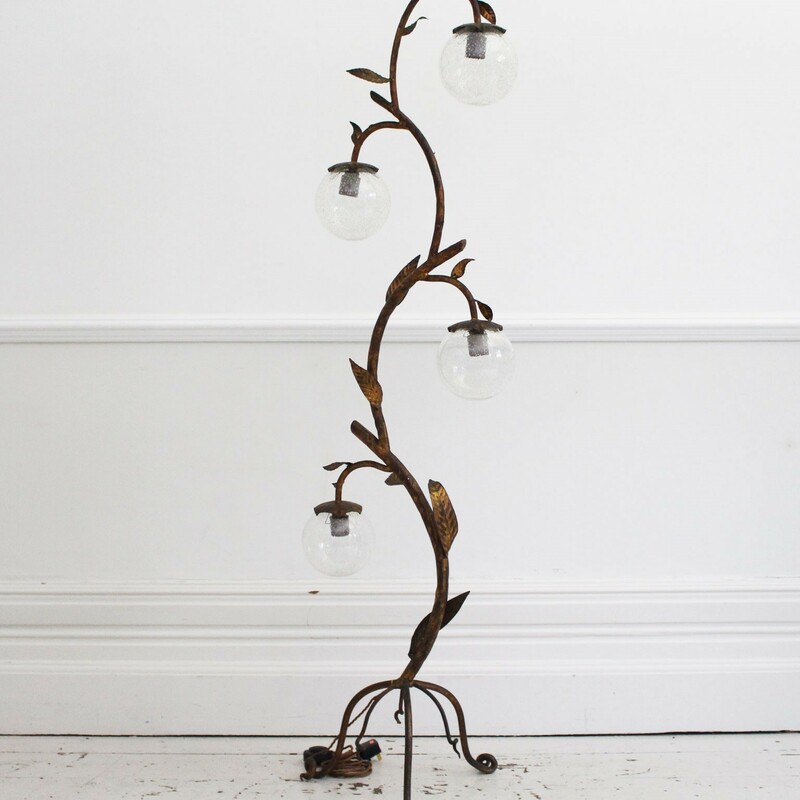 Rewired and PAT tested with floor switch.